After finding several ant hills down off our lawn today, I reached for the borax to kill them. 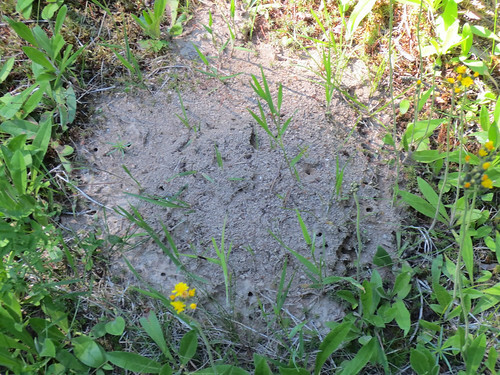 As we live very rural and in the woods, we constantly battle with ants. Not only in the yard but in and around our home. Borax is a common household cleaning product that causes dehydration in insects and leads to their death when eaten. I wanted to try using borax to kill the ants as it is more cheaper and safer than chemical insecticides. 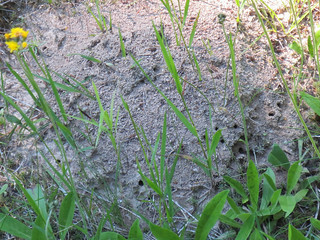 Here are some photos of the ant hills. These were taken before I did a borax treatment. 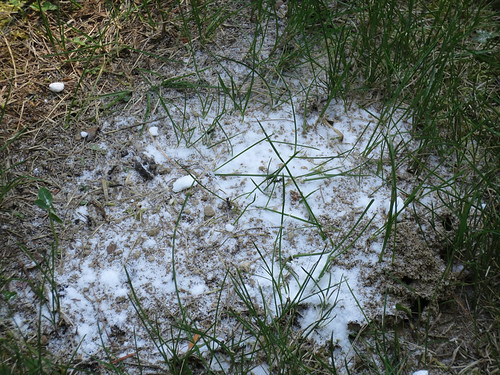 I’m not sure you can see it in the photos but when I sprinkled the borax on the hills, the ants really reacted. I then added just a bit of sprinkled sugar over the top of the borax. 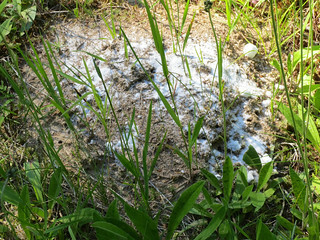 Sprinkle borax over the ant hills as shown. Then sprinkle just a bit of sugar also as bait. The ants will eat and also gather the borax/sugar mix to take to their nests. After three days, there was still activity on the ant hills. I could see a few dead ants around but there were still ants alive. I think it may take longer for this to completely eradicate all the ants. Using borax with sugar does work but it takes time and probably additional treatments to completely kill all the ants in ant hills. Ants are definitely a problem in the hot months so thanks for these tips.